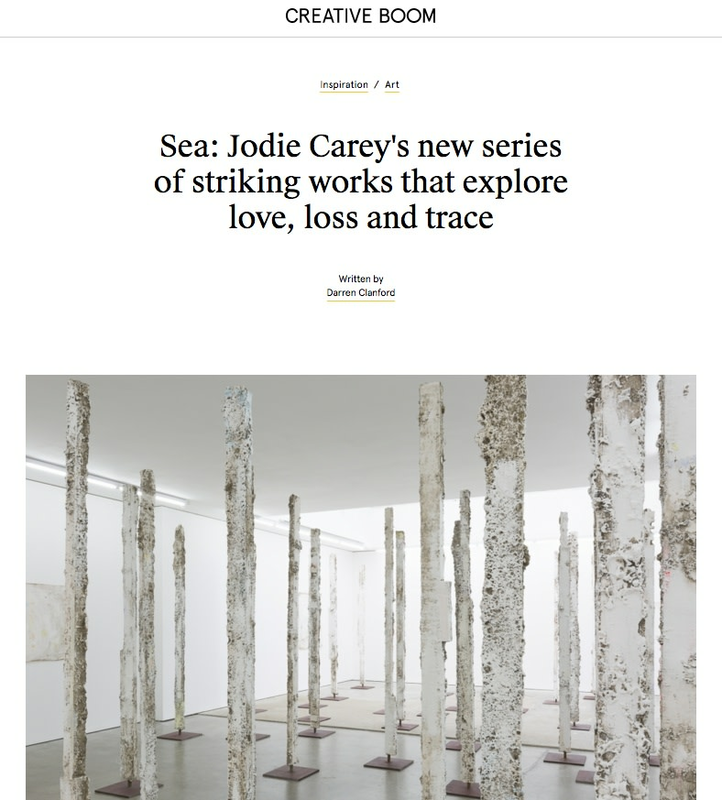 8 MARCH 2018 British artist Jodie Carey was recently commissioned by London's Foundling Museum to create a new series of installations that explore themes of love, loss and trace, and pay homage to the Foundling Hospital and its former patients. Imbued with a sense of remembrance, her sculptures encourage us to reflect on the thousands of children who passed through the building from the 1740s to the 1950s, and the fragility of human life and relationships. 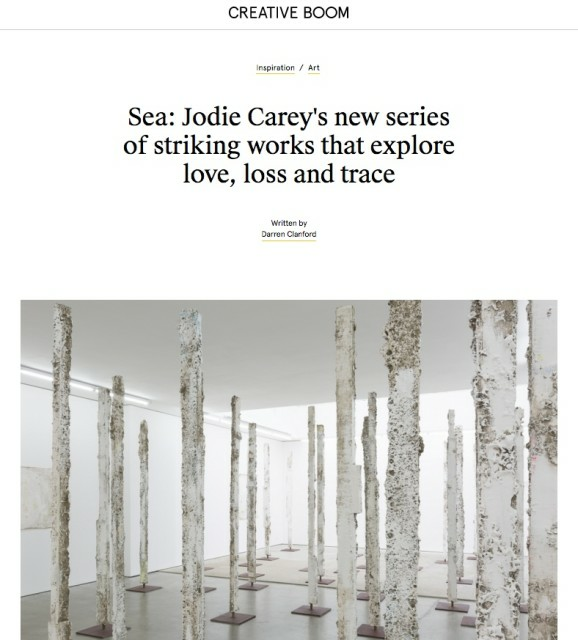 Drawing inspiration from the eighteenth-century fabric tokens left by mothers with their babies at the Foundling Hospital as a means of identification, the exhibition, entitled Sea, includes large-scale artworks formed of hundreds of swatches of fabric that have been dipped in liquid clay and fired to create delicate, white ceramic fragments that cover the gallery floor. During the firing process, the fabric burns away leaving only a trace of its weave and pattern, echoing the fragility of the textile tokens which are one of the few remaining and tangible connections between each mother and her child. The mothers’ intense feelings of separation and loss find a visual analogy in Carey’s vast ceramic outpouring. However, despite its overwhelming scale, Sea asks us to recognise the detail of each unique cast and to see each as a small memorial and an act of remembrance.